Real Valladolid's majority owner Ronaldo has revealed that he spoke to Real Madrid president Florentino Perez about the possibility of signing Vinicius Junior. The former Brazil international brought a 51 per cent stake in the Liga club back in September and has already tried to use his contacts at Santiago Bernabeu to his advantage. Ronaldo played for Los Blancos between 2002 and 2007, winning two La Liga titles and contributing 97 goals in 164 appearances. The World Cup winner spoke to Perez to inquire about the availability of Vinicius, who is currently in the middle of his first season with Madrid's senior team. Ronaldo told Sports Breakfast Europa Press about discussing a loan deal for the youngster: "I've asked Florentino Perez if we can have him, but I think it might be difficult! "We do not have the money for a permanent deal, but of course I would like to see Vinicius in Valladolid." 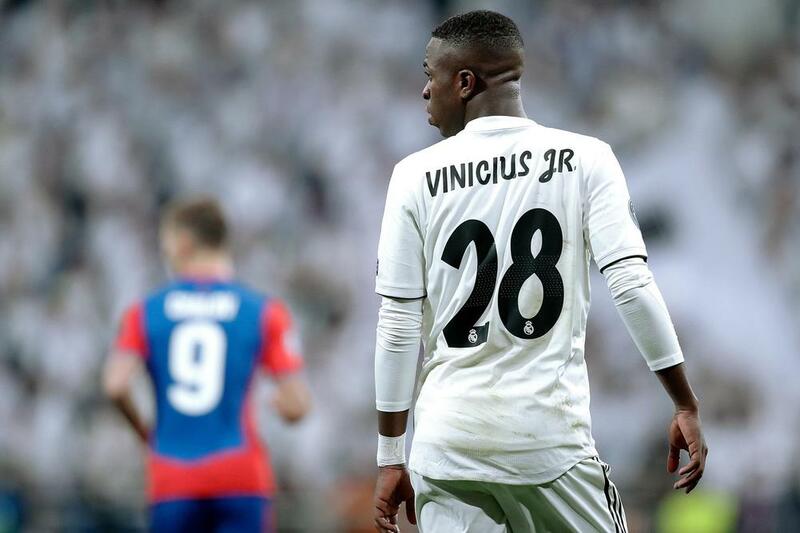 Vinicius has eight appearances under his belt across all competitions so far this term and started the team's latest Champions League fixture against CSKA Moscow on Wednesday. Madrid lost the match at home 3-0 but had already booked their spot in their knockout phase previously, which gave Santiago Solari the chance to blood some of the younger members of his squad. The teenage attacker was the home side's brightest spark during a shocking first-half of action, showing off his pace, agility and superb dribbling skills while also coming close to grabbing a goal. The Blancos have endured a difficult first half the 2018-19 campaign and are already five points behind arch-rivals Barcelona in the Liga table. Meanwhile, Valladolid are down in 12th, comfortably clear of the relegation places and still harbouring hopes of an unlikely European spot come May. Ronaldo went on to approve the Spanish Football Association's plans to stage a league fixture in the United States, just days after Barcelona pulled out of negotiations. "Playing abroad is aligned with our project. You need to be known both at home and abroad. I'm in favour, but our fan base will decide in the end," he said. "It is an interesting proposition for our club and our brand."